The 17th Annual Japanese Film Festival was in Brisbane from October 16-20 and my friend, Cassie and I went to see Reunion (遺体～明日への十日間). We both bawled our eyes out. I still remember being woken up by a text from my friend about an earthquake and tsunami in Japan. March 11, 2011 will be a day I will never forget while working at the Consulate-General of Japan. No one planned for this disaster and the way the Japan-America Society of Tennessee (JAST) and the Consulate worked quickly to change the focus from the annual Nashville Cherry Blossom Festival to a fundraising effort for 2011 was so impressive. When faced with a tough decision, leaders shine through and the JAST CEO is an incredibly selfless individual who shined brightly when everything looked so grim. This film is based on a journalist’s report during the first ten days after the disaster. 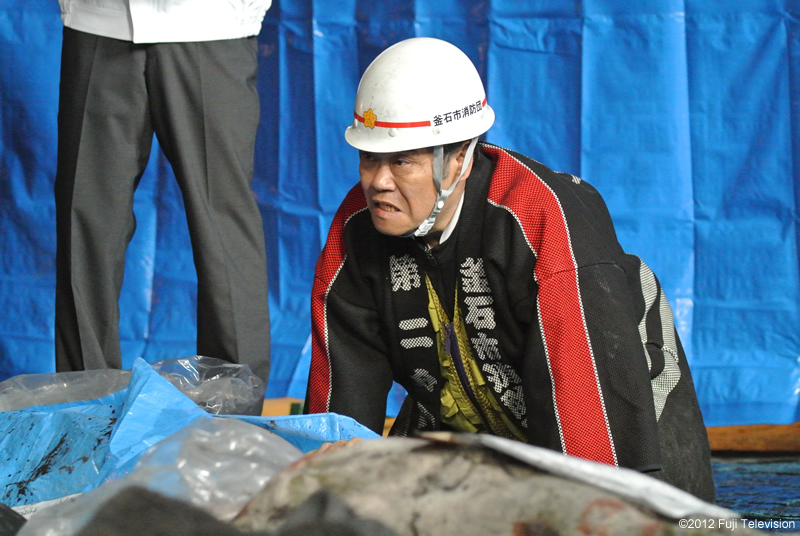 The film focuses on Kamaishi, Iwate and how the local government and citizens deal with the bodies found after the disaster. Aiba (Toshiyuki Nishida), is a retired funeral-home employee who volunteers his time and leads everyone (including the viewers) on a journey of understanding the importance of preparing the bodies in a respectable way as individuals search for lost family members. The high school gymnasium becomes a temporary morgue and the toll it takes on various individuals in the film will bring tears to your eyes. The film was very well done and moving in so many aspects. Losing a loved one is always difficult and when you add this catastrophe to the equation, having to be reunited with a loved one on the floor of a high school gym makes it seem almost unbearable. The director shows you how everyone attempts to cope through this tragedy in various ways.